This week’s trip was a big one, clocking about 850 miles on the trusty 4 Runner. Starting in Bozeman, Alex and I headed west, through Missoula, up to Kalispell, Montana. The forecast had been calling for serious weather and we got an eerie combination of blazing sun and black skies coming past the old Prison in Deer Lodge. We finally made it up to Kalispell and settled in so that we could get an early start on Saturday. 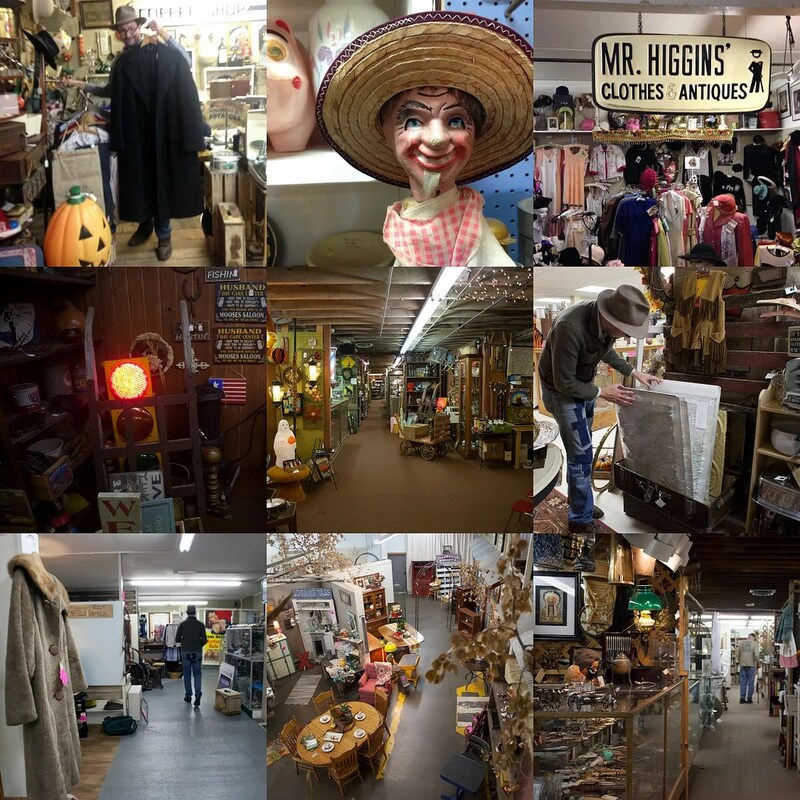 As soon as they opened, we started looking, hitting every thrift and antique shop we could find in Kalispell and the surrounding towns. By the end of the day, we had hit teh thrift shops and six antique stores. The further away from home I go and the longer I’m there, the bigger the risk I’m taking. Gas, food and lodging start to add up. At the same time, it takes stores time to re-stock, so my range has to expand with every trip. 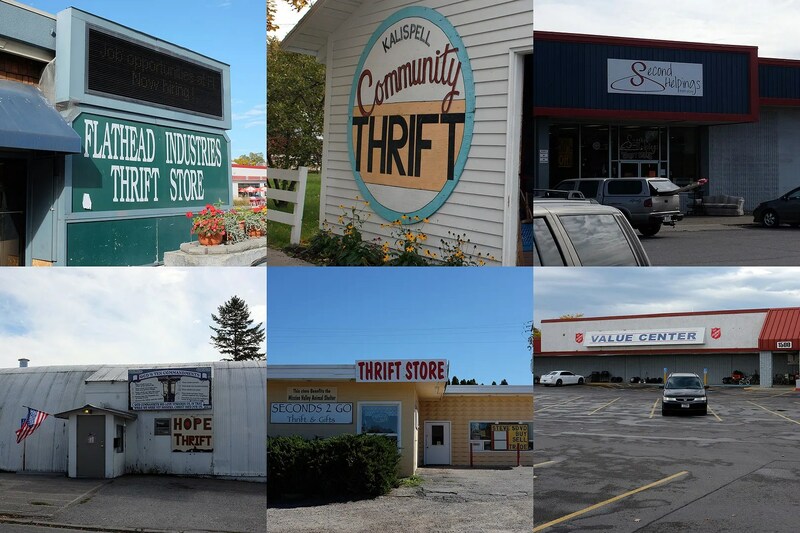 The two antique malls in Kalispell, which I had been pinning a lot of my hopes on turned out to be complete busts, with not just no finds or purchases, but nothing of interest in any of the booths at all. I probably bought a few things in the thrifts against my better judgement to feel like I had found something. 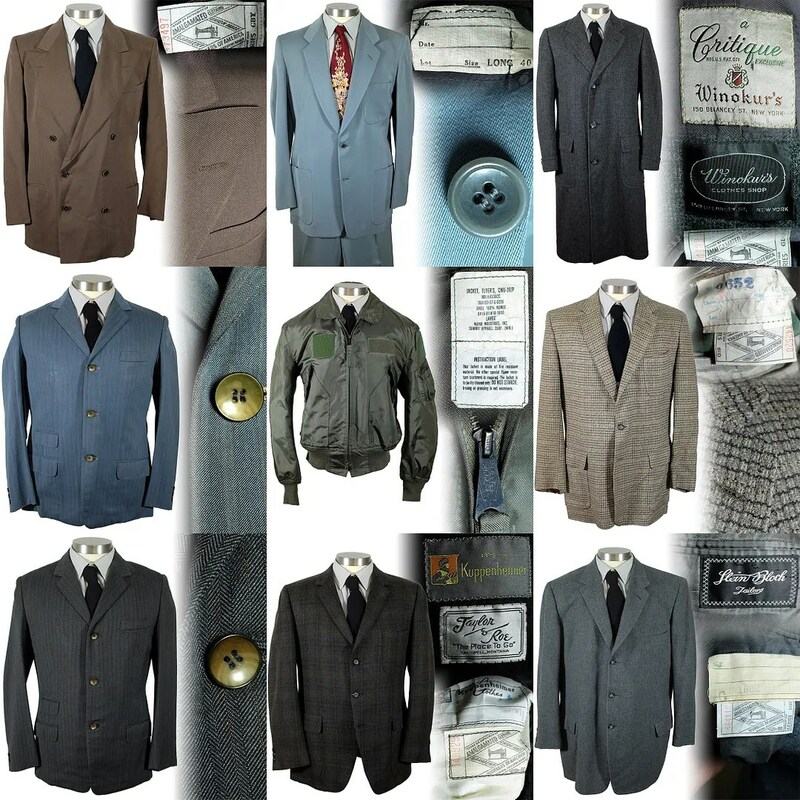 Not junk by any means, but things like late ’50s tweed jackets, which I love, but which there’s not much market for at any price online, and which probably won’t do much more than take up space. But at a couple dollars a piece, at least I can say I kept them from being turned into someone’s zombie Halloween costume. My luck changed somewhat at some of the thrifts, where I ended up finding a few vintage ties here and a few vintage ties there, adding up by the end to a fair number. The real prizes were two ’40s suede leather whipstitched western Hollyvogues, with the original tags still on. I have a bit of a collection of those already, so we’ll see whether those end up being passed along or whether they’ll join the ones I already have. Alex, who usually comes away with a slew of vintage cameras, had about the same luck as I did, finding a fair number of 1970s Polaroids at steep prices, but nothing much of any real use or interest. Lunch in Kalispell was a vintage treat. We ate at a place called Moose’s Saloon. It’s a bar from the ’40s or so, done up in 1959 to approximate an old west saloon. Sawdust on the floor, low lighting, peanuts on the tables, and two dollar draughts. In the years since it was done up in saloon style, it’s been heavily loved, with names carved into every tabletop, booth, bench and wall. The crowd was a nice mix of children and pensioners. It had a really nice family neighborhood dive atmosphere, great food and cold microbrews. Alex and I always play a game when out hunting where we try to identify what we’ve seen an inordinate amount of in the shops that we’ve hardly ever seen anywhere else. This trip it was wetsuits. With all the cold mountain lakes, I suppose that makes sense. On a broader scale, this part of Montana has the most Quonset huts I have ever seen in my life, most of them still in use. Kalispell turned out to be a haven for little treasures that filled our trip with “wait wait, we have to pull over”. 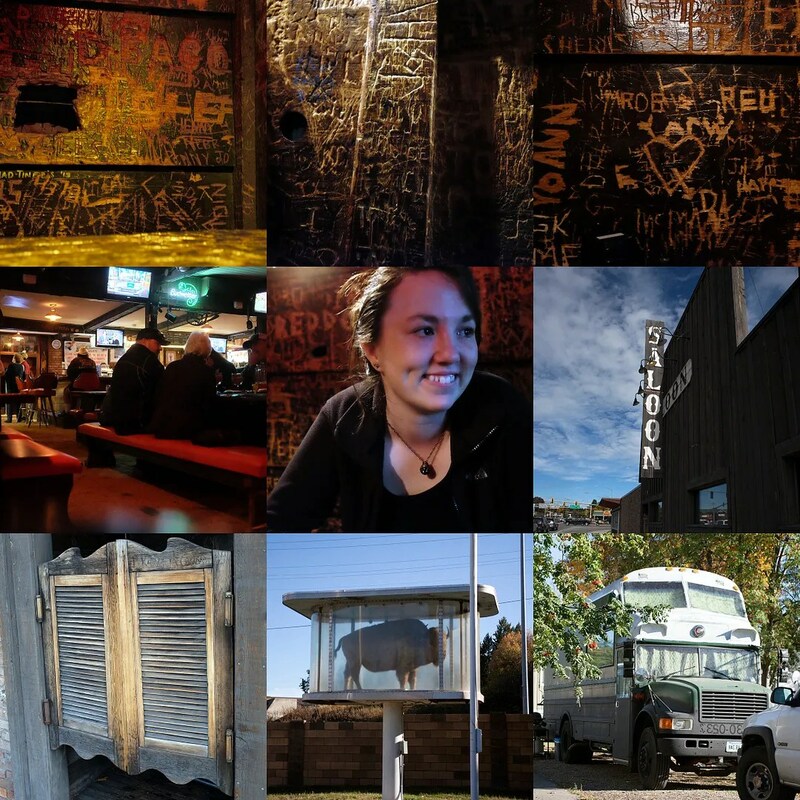 Although we stopped and explored every little strange part of Kalispell and surrounding area that we found, I have a hunch there’s so much more that we missed. Two things that stood out to me as unique to Kalispell were the buffalo in a bullet proof case watching over a mobile home community, and the Moose’s Saloon, a dark, divey bar that screams “MONTANA” the minute you walk in. This Saloon wasn’t like any saloon I’ve ever been to. Maybe it was the sawdust that covered the floor, the sweetest elderly woman that took our order, or the delightfully chilled goblets that the beer was served in, but we were hooked on this place. The pizza was pretty good to boot. I regret not taking a peek in there gift shop, who’s sign read “Moostly Mooses”, which gave me a chuckle. The other strangely wonderful part of Kalispell was the taxidermied buffalo that towered over a small mobile home community/hotel. Yes, that is in fact a /hotel. In the corner of the enclosed community was an Inn & Suites that looked not too shabby for where it was placed. But that’s beside the point. This buffalo looked like it had been there a while, judging from the shape of the glass and the general dirtiness of it. Nevertheless, I would stay at that Inn & Suites just for that buffalo. Overall Kalispell turned out to be a hoot, with strange “attractions”, if you could call it that, and bars full of character. We went to Glacier National Park on Sunday. It’s my second time to Glacier and was Alex’s first. It’s post-season there, and all the lodges and gift shops have closed down until next summer. The huge numbers of visitors have subsided, so you can finally enjoy the beauty in relative peace and quiet. The trees were a riot of color, and as we ascended Going To The Sun Road toward Logan Pass, the temperatures dropped and yellow autumn leaves gave way to snow covered evergreens. We took our time on the way back, stopping in all the small towns we came across, and to get a tire fixed after picking up a screw somewhere along the way. 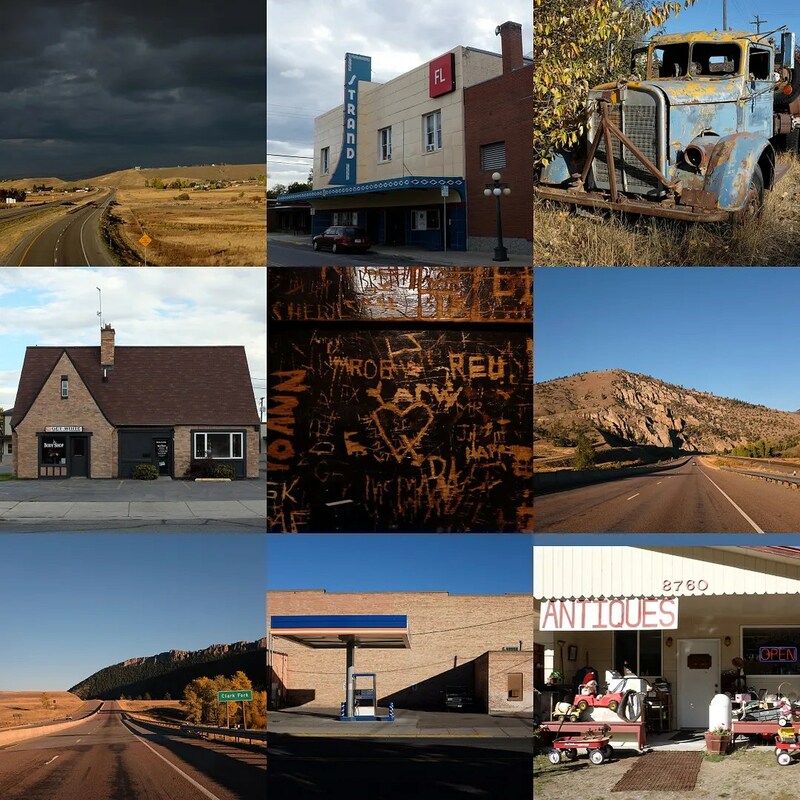 For a hundred miles, we had seen billboards for the “Miracle of America” museum outside Polson, Montana. 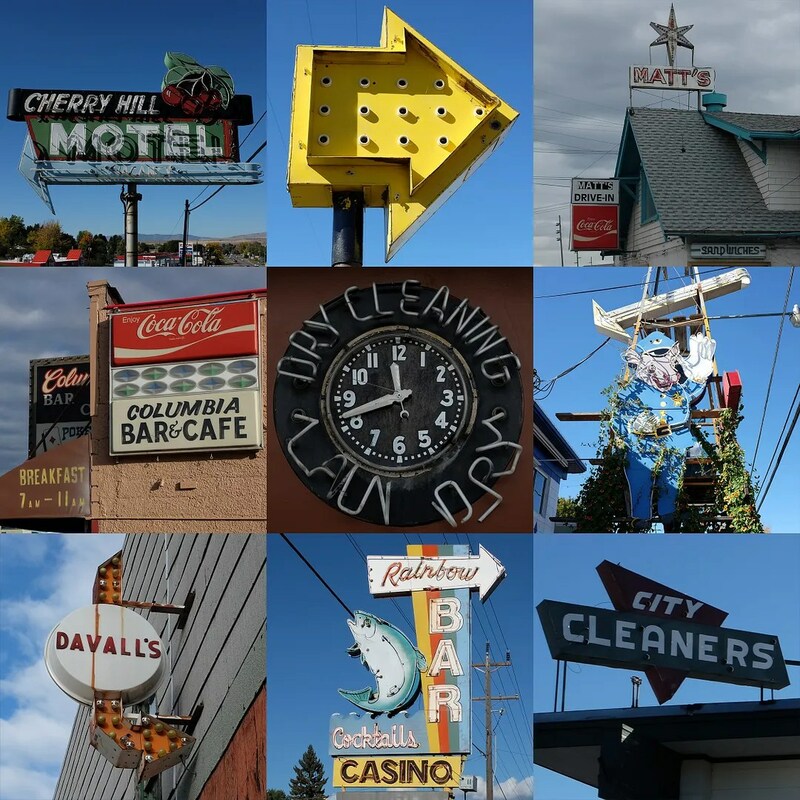 It’s one of those classic roadside museums, with such a broad focus that you’re bound to find something you’re interested in, and if you’re like me, bound to like just about everything. 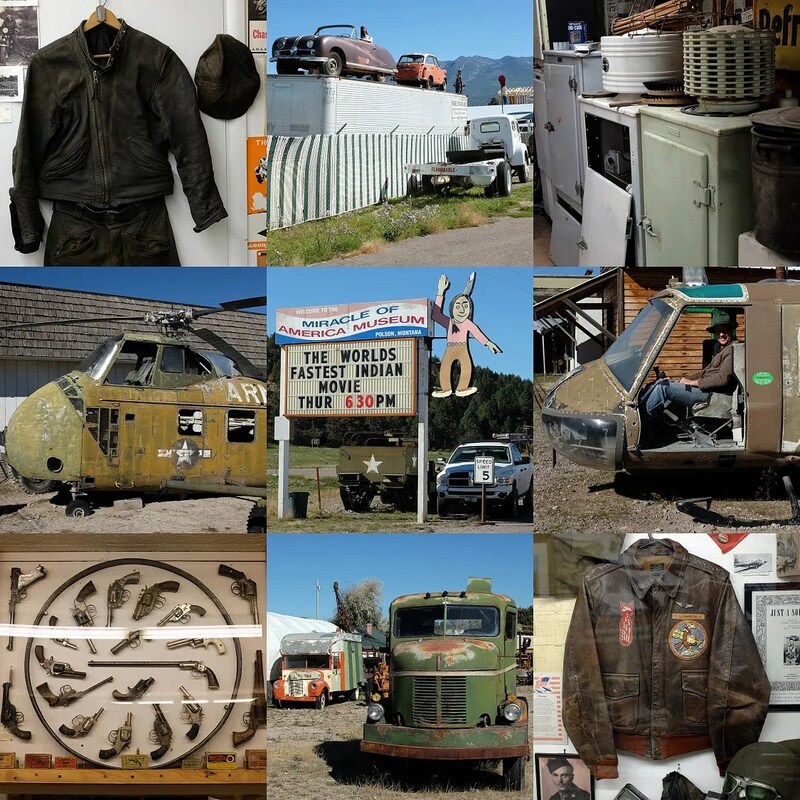 Historic buildings, rare motorcycles, helicopters, airplanes, vintage clothes, rusty cars, alien autopsies. You name it, they probably had it somewhere in the collection. There were definitely some things in the collection I would have loved to get my hands on. The haul. 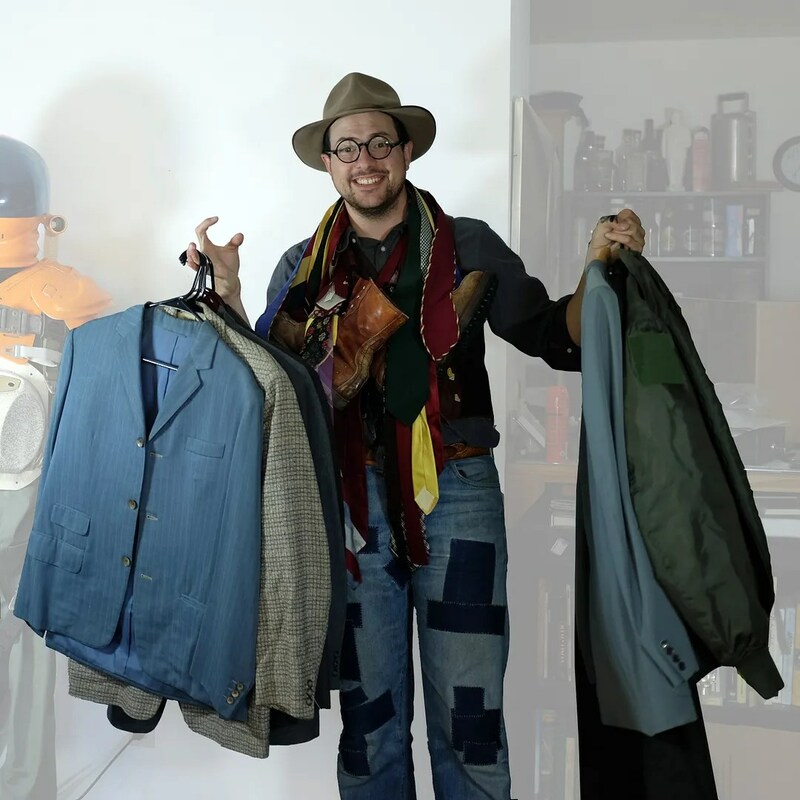 No big ticket items, but a decent amount of ’30s and ’40s ties, a pair of vintage hunting boots, a powder blue ’50s suit, a couple of late ’50s-early ’60s jackets and a Nomex flight jacket. With luck, I might just break even. 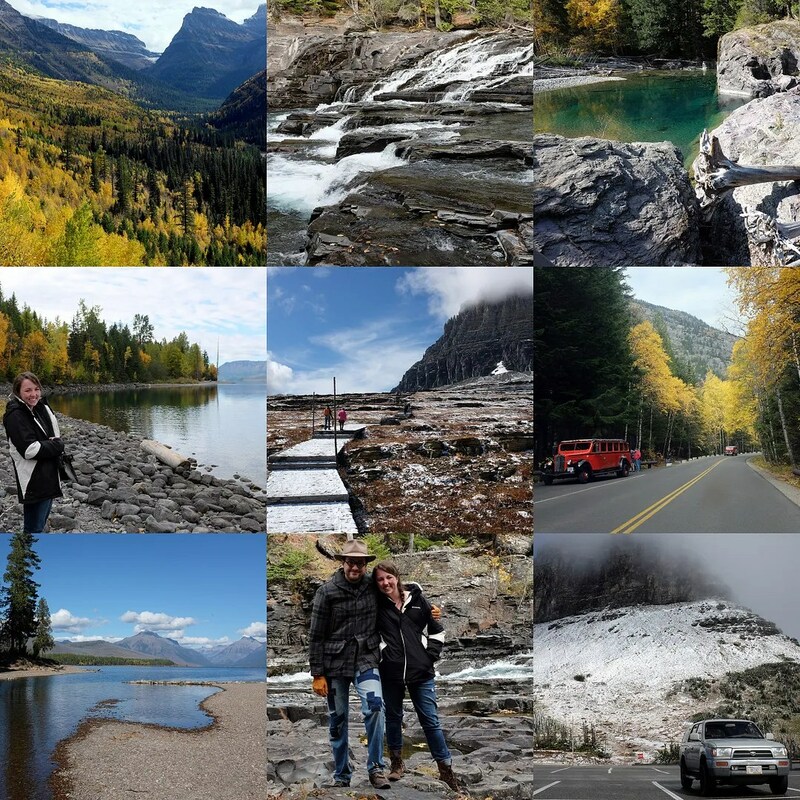 A beautiful and fun trip nonetheless, and any moment of being in Glacier was worth the rest. The jackets from this trip, photographed. Keep an eye out as I list them, and as I get around to finishing photographing and editing all the neckties, of which there are quite a few. This entry was posted in on the road and tagged glacier national park, Kalispell, Montana, roadtrip, vintage, vintage menswear by Spencer Stewart. Bookmark the permalink.